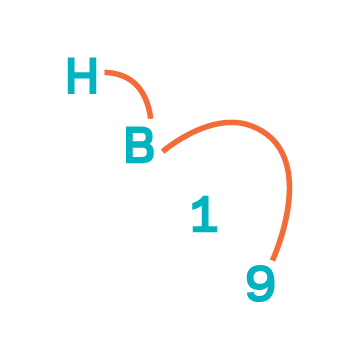 The HB19 All-Access Pass grants unlimited entry to the Honolulu Biennial Hub in Ward Village (location announced in January 2019! ), Foster Botanical Garden, Bishop Museum and Honolulu Museum of Art from March 8th - May 5th, 2019. The Biennial will take place at nearly a dozen locations on O’ahu, including the Ali’iolani Hale, Bernice Pauahi Bishop Museum, Foster Botanical Garden, and Honolulu Museum of Art, with the hub located at Ward Village. Energies from across the Pacific Ocean will once again center in Hawaiʻi when Honolulu Biennial 2019 brings together 19 artists and artist groups from Hawaiʻi and 29 artists and artist groups of the Pacific, Asia and the Americas. The Biennial aims to contribute to local and global dialogs by connecting indigenous perspectives, knowledge, and creative expressions that are of these places. Scott Lawrimore and Nina Tonga, Co-curators, and Joshua Tengan, Assistant Curator, titled the 2019 edition To Make Wrong / Right / Now after the last lines of Manifesto, a poem by the participating Kānaka Maoli (Native Hawaiian) artist and poet Imaikalani Kalahele. His prescient words appeal for a collective consciousness to make right of colonial injustices through the recovery of histories and reaffirming ancestral connections. Taking inspiration from the poem, the Biennial curators have tethered their approach to the metaphor of the ‘aha (cordage)—individual strands of fiber braided together—as a means of tracing and recording paths. The curatorial approach connects times and places, transcending settler temporalities to focus on relationality and the transmission of knowledge between generations. The 2019 Honolulu Biennial knots together diverse practices by artists united in their need and ability to advance and transfigure their inheritances into contemporary form. The practice of each, and thus the curatorial approach, is firmly rooted in the continuum of indigenous knowledge, decolonization, survivance in the face of intergenerational trauma, mana wāhine (female empowerment), contesting histories, and a deep reverence for the land, ocean and wahi pana (storied places). Bernice Akamine and Nicholas Galanin Survivance—a strategy of advancing and transfiguring inheritances that upends dominant narratives of victimhood and trauma—is a prominent thread between artists of the Biennial. Kānaka Maoli artist Bernice Akamine will share Kalo (2015–present), an installation of eighty-seven taro plants with pōhaku (stone) representing the corm of the plant, and leaves made of newsprint representing each page of the Kūʻe Anti-Annexation Petitions 1897 delivered by Queen Liliʻuokalani to Washington D.C. after the illegal overthrow of the Kingdom of Hawaiʻi by the United States. The work is a non-confrontational reminder for Hawaiians to continue and be proud of their stand for indigenous sovereignty. Tlingit/Unangax̂ artist Nicholas Galanin will share We Dreamt Deaf (2015), a taxidermied polar bear desperately dragging its paralyzed hindquarters as a symbol of survivance in spite of continuing cultural and environmental threats. Brook Andrew and Taloi Havini For Bougainville-born, Sydney-based artist Taloi Havini, her three channel video installation Habitat (2017) explores the unsettling history of Australia’s connections with Bougainville. Her installation traverses the former Paguna Copper Mine operated by a subsidiary of Anglo-Australian Conglomerate that triggered the tensions that led to the Bougainville Civil War. Moving slowly through the abandoned mine, Havini reveals the permanent scars of the mine on the landscape—rusting infrastructure and tributaries polluted with residual toxins. Against this devastated landscape, Havini foregrounds the daily activities of locals who live with the realities and legacies of mineral extraction in the Pacific. Similarly, the interventions of interdisciplinary Wiradjuri artist Brook Andrew also present counternarratives to the dominant colonial histories of Australia. His film The Pledge (2011) is a satire of Charles Chauvel’s 1955 melodrama Jedda, the first color film made in Australia, and the first to feature indigenous actors. Retaining the film’s imagery, he reimagines a new science fiction story, within the subtitles, reflecting the violence of colonization and genocide. The Pledge confronts representations of the ‘primitive’ body and narratives of assimilation. Mata Aho and Florence Jaukae Kamel Inherited practices and the transmission of knowledge is an essential thread of the Biennial, embodied by the work of the Mata Aho Collective from Aotearoa, New Zealand. Mata Aho is a collaboration between four Māori women who produce large scale fiber-based works with a single collective authorship. Each work is the culmination of their collective learning, drawn from their research and wānanga (a conference or forum) with senior Māori artists, all learning new techniques and processes that they later adapt and apply to their own works. Mana wāhine, namely the empowerment and integrity of Māori women, forms the basis of their practice. This is also echoed in work of Florence Jaukae Kamel, a textile artist and women’s rights advocate from the Eastern Highlands of Papua New Guinea. She was taught the art of bilum (hand-woven string bag) weaving by her grandmother and has extended the twist and loop knotting technique to create innovative “bilum wear” and large textile installations. She is also the founder of the Goroka Bilum Weavers Cooperative, which supports more than 50 female artists by providing a source of income through their art as well as access to medical and social support.